Today it seems like everyone knows someone who is serving or who has served in the United States military since 9-11. We have a constant list of those serving in our Church bulletin to pray for their safety and return to loved ones. How about you? Do you know of someone currently serving in the military? If so who is it? I participated in an Influencer Activation on behalf of Mom Central Consulting Community® Coffee. I received product samples to facilitate my review and a promotional item to thank me for participating. We support our troops by praying for them, sending cards, and care packages. Care packages always contain hand sanitizer, coffee, gum, candy, baby wipes and homemade cookies. The Girl Scouts over the years have made Christmas cards and sent care packages, too. Through the scouts we also participated in the yearly cookie sales which included asking customers to donate a box of their favorite cookies to our Troops. The cookie care packages are always a huge hit with the soldiers. Do you send packages to the troops? 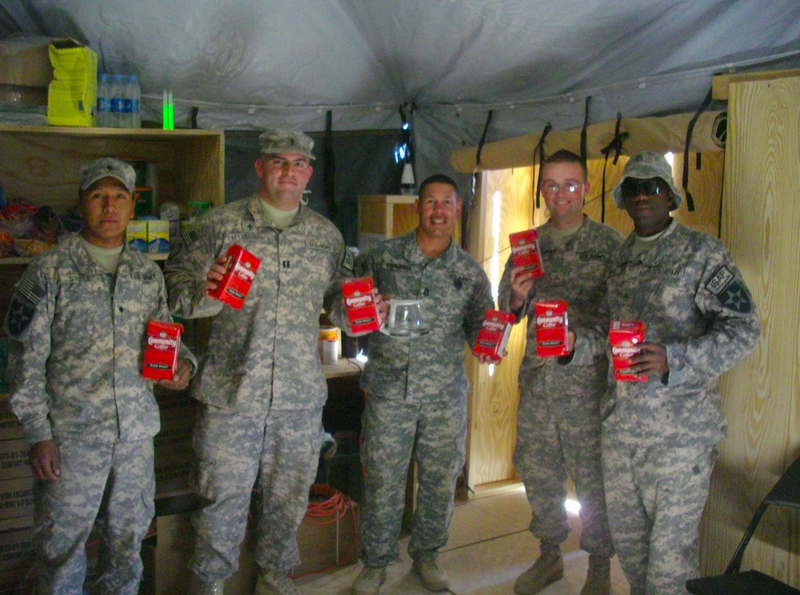 When it comes to coffee, Community® Coffee is one of our favorites to send to the military. We have been huge fans of their coffee for almost 15 years. We discovered the brand when we moved to New Orleans. Prior to that we had never heard of the coffee. 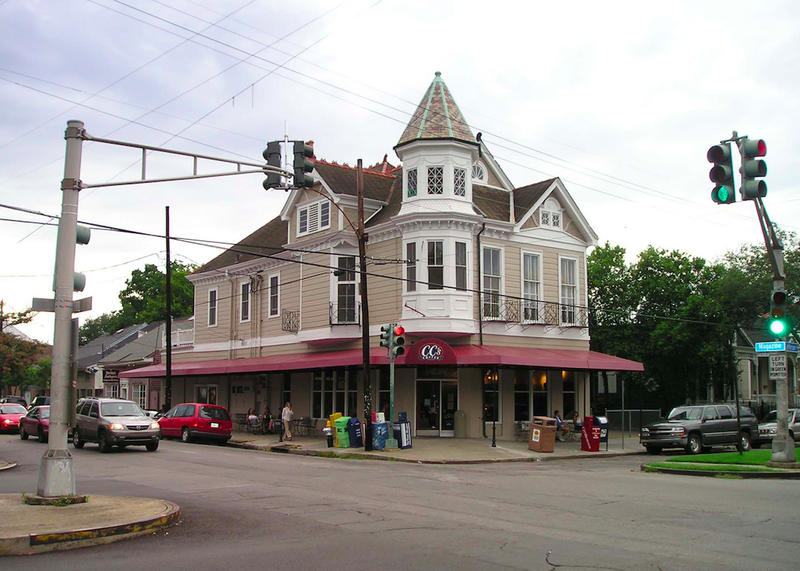 My family no longer lives in New Orleans but we frequently order Community® Coffee or pick it up whenever we can find it at local stores. When it comes to the brand, we love their Coffee with Chicory and Dark Roast selections the best! We are strong, dark coffee lovers. When we have company over we will most likely brew the lighter Breakfast Blend or the flavorful Hazelnut Blend. 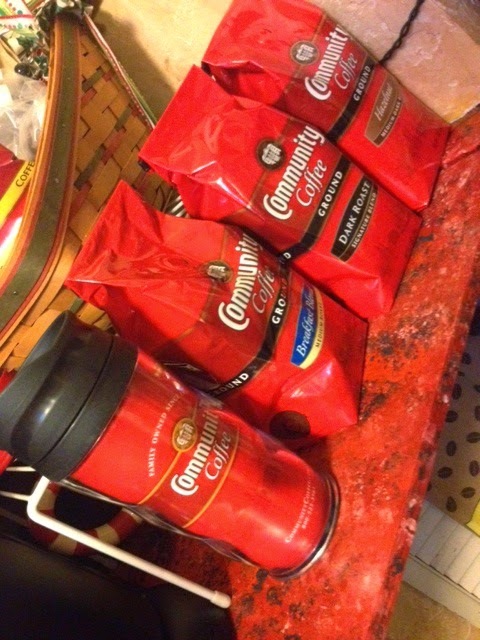 We brew the coffee in a pot or even use their 1 cup single serve portions for our Keurig coffee machine. Since living in New Orleans, one of our most favorite ways to drink Community® Coffee is brewing a cup and mixing half coffee and half warm milk for a Café au lait. Have you tried their coffee? Do you have a favorite selection? 1- Brew a strong cup of coffee. 2-Warm milk but do not boil it. It should be same temp as coffee. My coffee maker brews at 192 degrees F.
3-Pour coffee and milk into your large mug or split this into 2 cups. 4-The non traditional way includes adding a tad bit of whipped cream on top. This is optional. If you plan on sending coffee to loved ones in the military do consider sending Community® Coffee because they have a Military Match program. They will match any Military Match set purchases plus add an additional four bags and signature mug and ship them to an APO/FPO or military base address you provide. How awesome is that? This is helpful if you are wanting to send out a care package but short on time. They will send one for you along with extra coffee and a mug! I hope you take advantage of this tasty offer. Ooo - the picture of your brewed drink looks good. 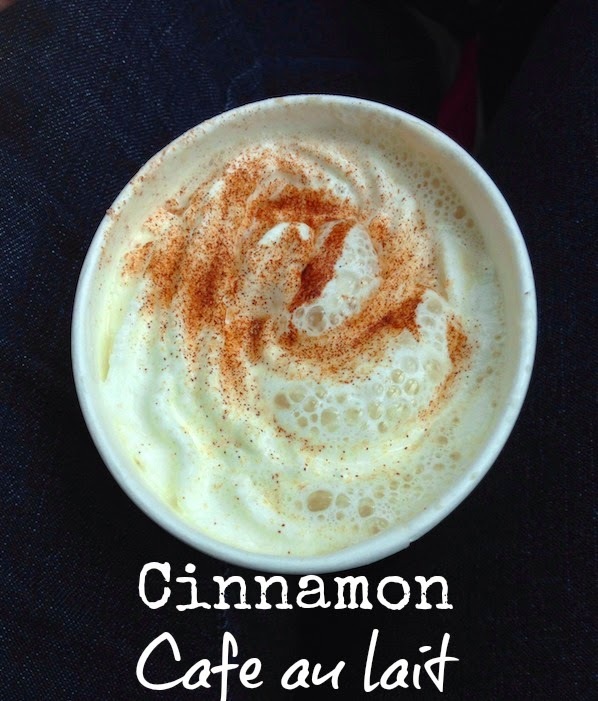 I don't think I've ever tried Community Coffee before, but I've seen a lot of people talking about it. what a great program! giving back is so important and to our troops no doubt!